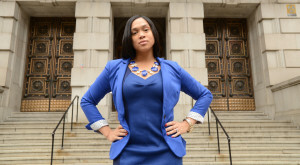 Marilyn Mosby Reopening Police Involved Killing Cases? Last week Baltimore City Councilman Warren Branch called for State’s Attorney Marilyn Mosby to reopen the cases of three black men who died in the custody of Baltimore Police during the last three years – Tyrone West, Anthony Anderson, and Maurice Johnson. In addition, the NAACP, ACLU, and other groups are calling for police reform in Baltimore. Our panel examines State’s Attorney Mosby’s first months in office and the possible responses from her office regarding these calls for change. With: Tom Maronick, Baltimore Attorney and Host of the Tom Moore show on AM 680 WCBM; and A. Dwight Pettit, Defense Attorney who has represented clients in police misconduct cases.